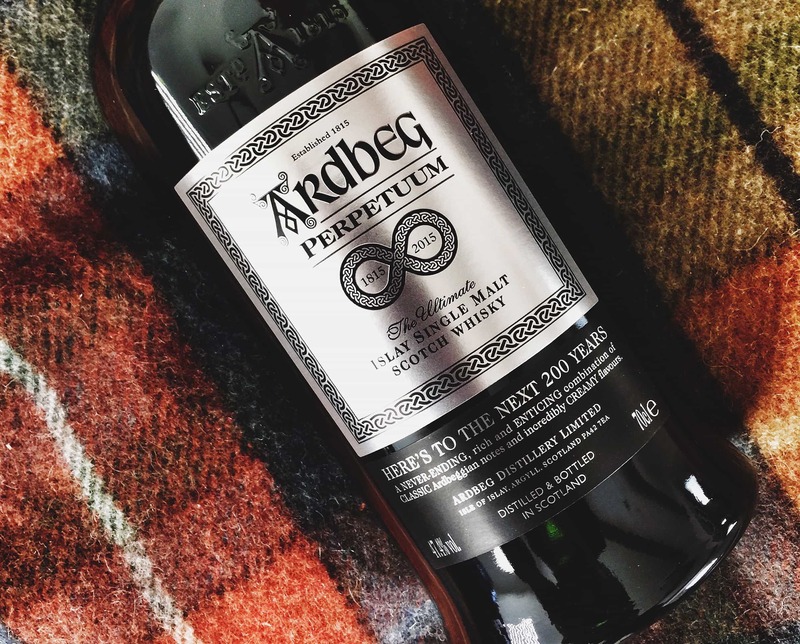 Ardbeg is one of the distilleries that led the way with No Age Statement whisky – that is, releasing single malt whisky that doesn’t contain a number on the bottle to indicate its age. Ardbeg Corryvreckan and Uigeadail, in particular, proved very popular because the whisky was so good. Other distilleries followed suit. 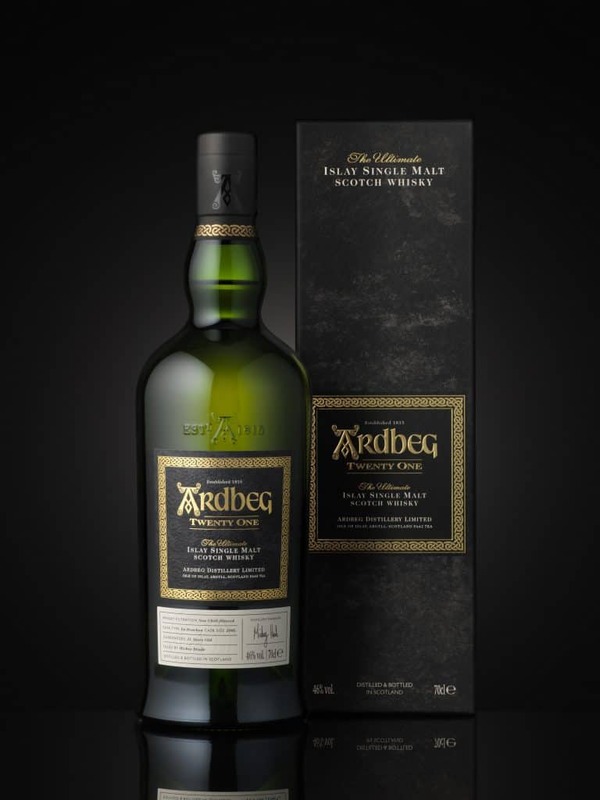 And Ardbeg continued the trend of releasing No Age Statement whiskies year after year, which rather frustrated the old-school Ardbeg drinkers who were used to the iconic age statements (17 was a particularly good number). So it’s a big deal when Ardbeg finally does tell us a new number. This time, with Ardbeg Twenty One, that number must be significant. 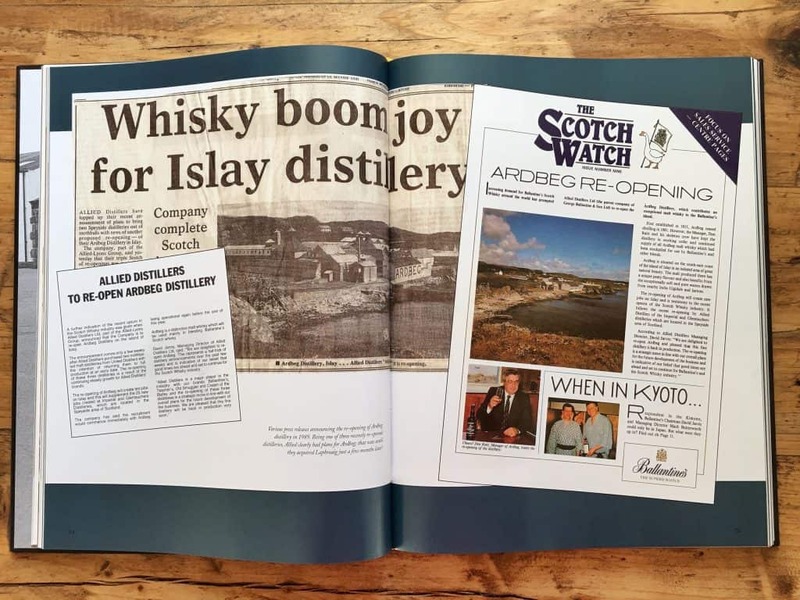 21 years ago, Ardbeg – then a cult Islay distillery – was in a dreadful situation. The distillery had been closed for quite some time during the 1980s. Ardbeg was eventually bought by Allied Distillers Ltd in 1989, but whatever limited whisky was being produced at the time ended up going largely into blended Scotch such as Ballantine’s. Funnily enough Allied Distillers bought Laphroaig distillery a few months later, so had a second peated very whisky in the portfolio. They later preferred Laphroaig to Ardbeg, which they placed on a ‘care maintenance programme’, meaning Ardbeg only produced a little new spirit each year. In July 1996, Ardbeg closed again. Many people thought that was it. Can you imagine that, with the whisky boom just on the horizon? The Glenmorangie Company bought Ardbeg distillery and the stock in 1997, for what now seems an utter bargain of £7 million. They fired up the stills once again, renovated the distillery, and the rest his history. Ardbeg is now a very different beast. I’d say that it has outgrown cult status to become a very popular single malt, certainly in the UK and Europe. The site is a fantastic place to visit, with a fabulous restaurant and a thriving visitor centre. Tens of thousands of people head there each year. The new limited edition Ardbeg Twenty One is non chill-filtered, matured entirely in 200 litre ex-bourbon casks and bottled at 46% ABV. A bottle will cost you £310 – at first, until it appears on auction sites in a couple of weeks for a lot more than that. Nose: as expected with an older whisky, the peat isn’t as pronounced. Very coastal at first, with salt-spray and lemon juice. Once that settles there’s a beautiful sweet peat note mixing with the vanilla from the American oak. Smoked salmon. Sage. Assam tea. Burnt bacon. For me this feels like a classic Ardbeg nose (classic in an E-Type Jag kind of way). In the mouth: unexpectedly clean for an Ardbeg (this is not Corryvreckan or Uigeadail), with a lightly cloying texture. Smoked salmon again. The peat is gentle but there’s plenty of peppery warmth – either from the peat or the wood, it’s quite tightly bound together. Very mossy and herbal: sage and thyme. Hemp. Vanilla returns, perhaps with a touch of floral honey combined. Tinned tomatoes. The pepper returns on a lingering finish. 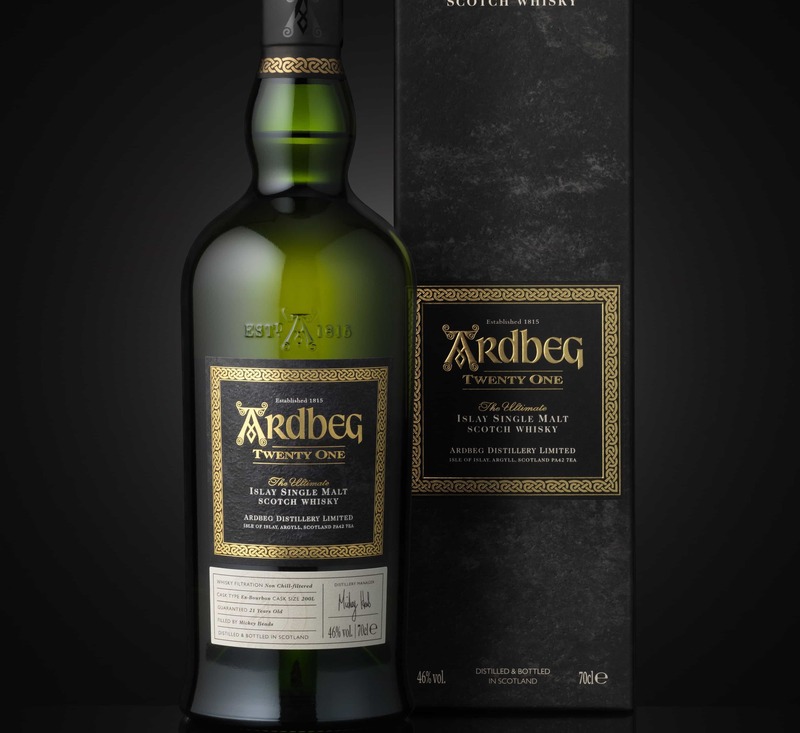 With Ardbeg Twenty One you’re paying the money for the rarity – that’s obvious – but the liquid you’re getting is gorgeous. Less like new Ardbegs, a lot like older ones. Honest. Raw. No fancy tricks. Ardbeg Twenty One is my favourite distillery-bottled Ardbeg for years, probably since the great Ardbeg Airigh Nam Beist. Wonderful. Open it up and raise a glass to the past. Note: a sample of the Ardbeg Twenty One was sent to me for review, but we all know by now I’m too grumpy not to be honest. It’s a great story and no doubt a lovely dram but not likely to see (or afford) it here in Oz. We spent a week in a cottage 10 minutes’ walk from Ardbeg and there’s no doubt about the ambience of the distillery and cafe, but the hype and cost did put us off a bit (compared to some of the other Islay distilleries). Anyway, lucky you… and Slàinte mhath! It must actually be rather difficult to get the limited edition stuff out where you are… Not to mention rather expensive! $565 to Ardbeg Committee members in Australia. 90 bottles in the country only. Sold out in 3 minutes. 600 bottles went in one (1) second in Sweden. Are we very thirsty? @Joe Bloggs – 3 minutes? That’s amazing. Although tough that there were only 90 bottles. How many bottles were available then worldwide, 10,000? I very nearly bought one, but I’ve decided to get the new 21 yr Lagavulin instead…….I wish. Hi Paul – that’s a good question. I don’t actually know – can’t seem to find that information anywhere! I’d say less than 10,000? 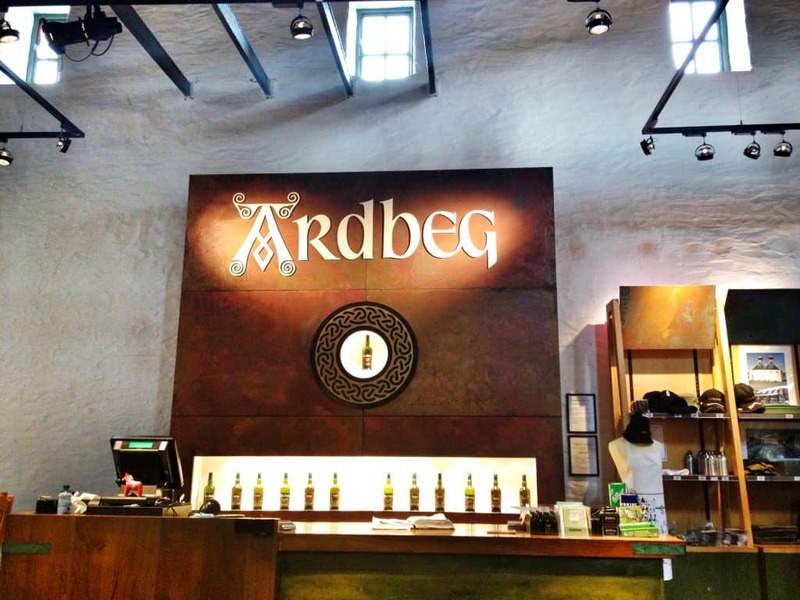 This is Ardbeg twenty-one only produced less than 9000 bottles. I have an extra bottle I was lucky enough to get. Anyone interested? ?